Publisher/Developer: NIS America/Nippon Ichi Software, Inc. Within the town of Refrain lies a mysterious labyrinth (excellent titling, eh?). Within lies mysterious treasures beyond your wildest dreams. It could be the key to immortality, or the catalyst that brings on the end of the world. There is a strange miasma within the labyrinth that kills any human who dares to enter. The quiet little town receives a mysterious visitor one day: Dusk Witch Dronya. She has one goal: Explore the dungeon and discover the mysteries within. She holds the Tractatus de Monstrum, a mysterious book said to have been written by the lone survivor of the labyrinth. With the help of her apprentice Luca, Dronya crafts puppet soldiers to infiltrate the labyrinth in her stead. Meanwhile, Dronya finds that the town of Refrain itself holds it's own secrets. 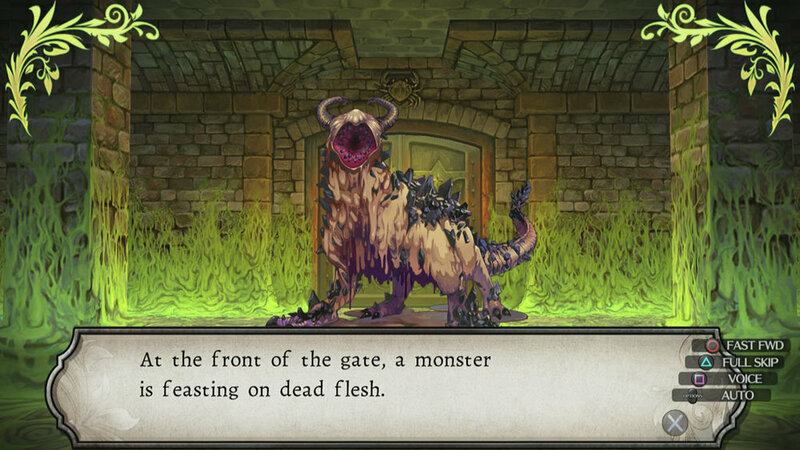 The core gameplay of Labyrinth of Refrain involves exploring the dungeon depths and working your way down, all the while leveling your puppet soldiers and finding materials relevant to your progress. When you find the parts necessary to craft a new puppet, you can create whatever you want: knights, assassins, dancers, mages, and more. The game emphasizes personalization of the puppets, offering you a chance to name every character, add flavor text, craft how they level up, adding armor and weapons, the works. The Tractatus de Monstrum is personified as "you" as you place your name in during a story part. Dronya promises you freedom, more or less, but basically forces you to complete her tasks. The puppet soldiers carry you through the dungeon, and you guide the battles you face within the dungeon. Instead of guiding a party of three to five individual characters, you control covens of characters, which can hold multiple characters themselves. Each coven provides special boosts to the characters within it, adding yet another crafting level to your party. This eventually lets you have up to forty characters in a single party. As I've played, I've slowly unlocked more and more abilities that Dronya decides to allow the book to have based on the amount of collected materials that I bring back. Early on, the game literally opens up by allowing you to break through walls to find hidden areas and more goods. Occasionally you may find holes in the ground that you will fall through (voluntarily or not) and face even bigger dangers. There are an amazing amount of numbers to keep track of: from basic HP and magic for each individual puppet to mana points, reinforcement points, brigade costs, and the like. Meanwhile, damaging enemies give chances for chains to form which can increase damage and the like. Back at the town, you can buy materials, synthesize new weaponry, and more. When synthesizing, you have to watch for elemental attack and resistance, power, defense, the works. I loved watching the numbers grow for each individual character, and felt connections to them as they leveled, but it takes a lot to recognize and get the chains in gear to where I found myself powering through and leveling extra as opposed to learning that dynamic. 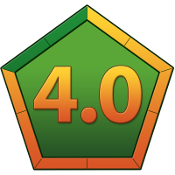 I assume it will be more necessary as I go further (this game promises many many hours of gameplay that I have not gotten to the end of as of the time of this review). There is one quality of life issue I wish they would add: touchscreen capability. For a game that wants me to personalize every single thing I create, it only has an oldschool name entry screen set up with capital and lowercase ABCs. This could have easily been transferred to the Switch onscreen keypad for easy touchscreen typing. It even has certain personalized boxes with long default sentences that you have to delete one letter at a time (no "clear all") which really extended the editing time. Labyrinth of Refrain eases you in with some simple battles, but soon throws the book at you and forces you to learn the tactics or power level to survive. A few times I'd run into extremely difficult enemies on the same floor as pushovers, but on the map they are all represented with the same icon. I would have appreciated a bit more detail showing the challenge level of an enemy. Regardless, the game is a constant grind: get weapons, fight enemies, find bigger weapons, fight stronger enemies, until you find the current required item (be it a physical item or the square in the labyrinth that notifies you "you've searched enough, go back"). It's a slow grind up to bigger numbers. Enemy models are static: they might move a bit, but it's traditional first-person dungeon crawler fare. Dronya has her own adventures outside of the labyrinth as she meets strange townfolk and learns why it's dangerous to go out at night. It's a fun story, albeit adult in places (it earns it's M rating in certain storyline bits), and it holds up the game well. 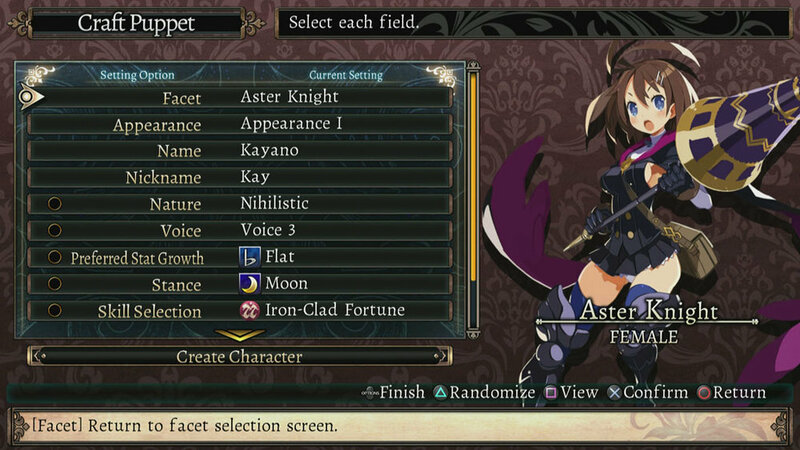 Characters are fully voiced, with English or Japanese options. I wish there was more of a connect between the two stories, and am hoping that comes along as you delve further into the dungeon, but it just seems as if the Tractatus de Monstrum and Dronya each have their own little walled-off parts of the game. 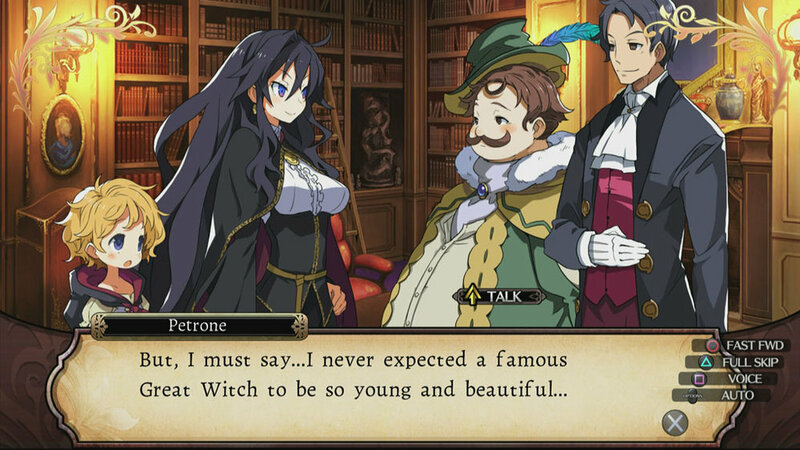 Overall, Labyrinth of Refrain: Coven of Dusk has a lot of work and skill put into it. Fans of dungeon-exploring RPGs get a little bit turned on their heads, as 100% exploration isn't so much a requirement and you end up smashing down walls as you see fit. This well-polished and deep dungeon crawler is a lot more fun than a lot of games I've played in this genre, and will provide hours of entertainment for fans of this type of game. The heavy stats may not welcome new players to the genre, but are an easy fit to the classic dungeon RPG crowd with it's straightforward battles and statistic-intense gameplay. Special thanks to NIS America and Nippon Ichi Software for allowing me to review a Switch copy of the game!